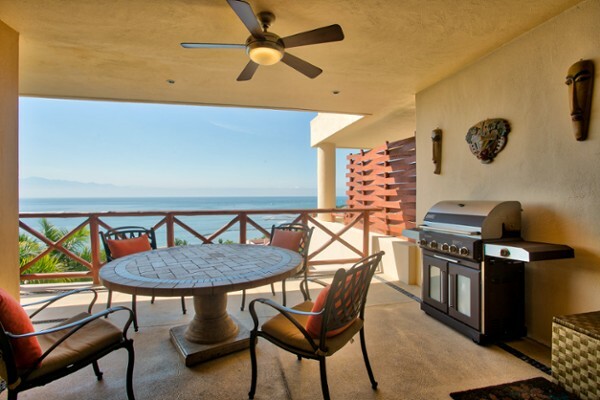 Private 3rd floor corner condo with open floor plan and stunning views perfect for relaxing or entertaining. 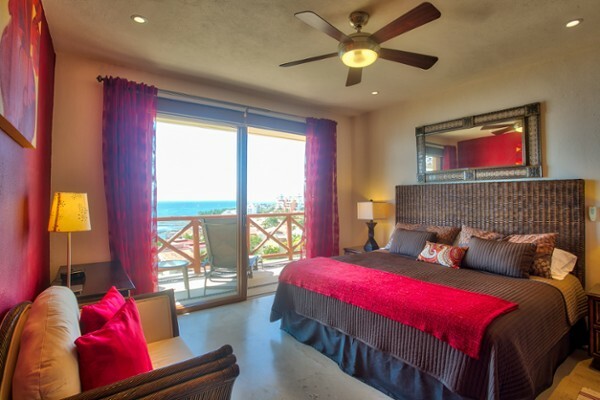 Both bedrooms enjoy fantastic ocean and mountain views! 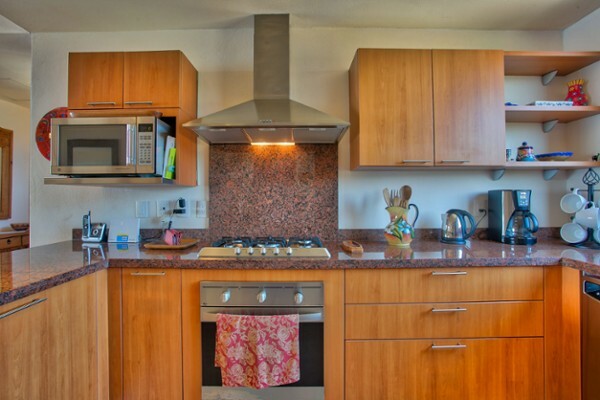 Double sinks, custom cabinets, custom granite kitchen counters, cream marble floors, spacious balcony. 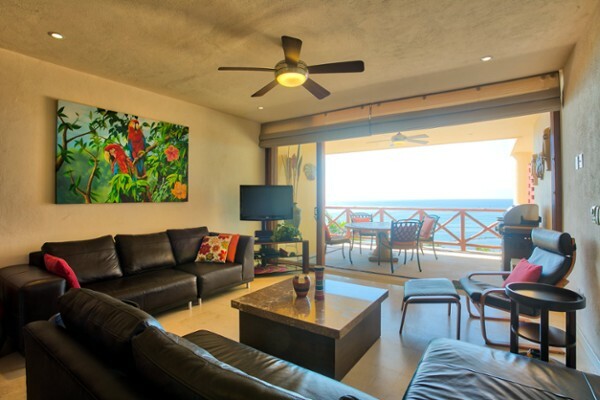 Quality furniture in pleasing neutral colors is accented by colorful artwork. Railings have been upgraded to PVC that looks like wood so they require no maintenance. 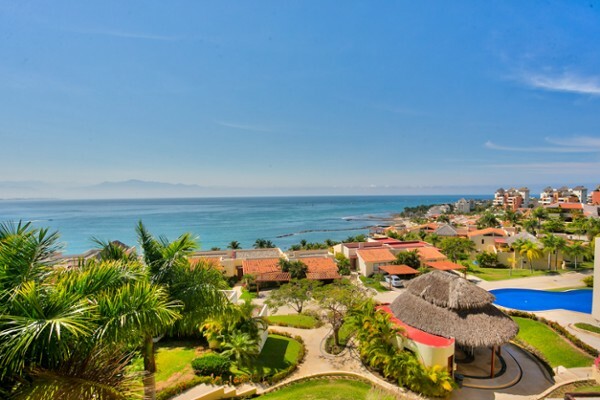 Punta Esmeralda is located 20 minutes North of the Puerto Vallarta airport, on the bus route and taxi stand is out front. 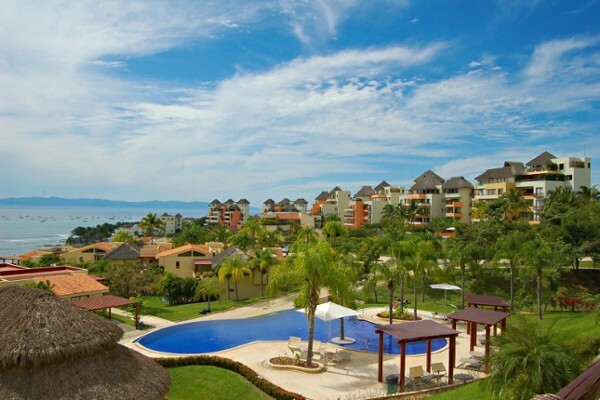 3 minute drive to Bucerias! It features 8 infinity swimming pools, (closest pool is right in front), elevators, seating, washrooms, gym, spa, tennis courts, volleyball, restaurant, beach club, and 24-7 security. Low monthly fees, lowest price in the entire development, contact us today before you miss out!